I did the analysis behind this Smith Institute report looking at future trends on household indebtedness, out today. Here’s a link to an essay collection pamphlet out today that I jointly edited with Steve Reed MP which includes a preface by Ed Miliband and a foreword jointly signed by all leaders of the Cooperative Councils network. Good Growth: my Demos pamphlet that gets the population to design their own economic policy is out today. Download for free here. The deficit in the run-up to 2007 was small by historical standards, less than we inherited, and did not cause the financial crisis. 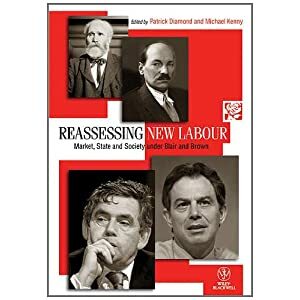 See my chapter on the economy in Ressassing New Labour: Market State and Society under Blair and Brown (Edited by Patrick Diamond and Michael Kenny) published today by Wiley-Blackwell. Buy it here.